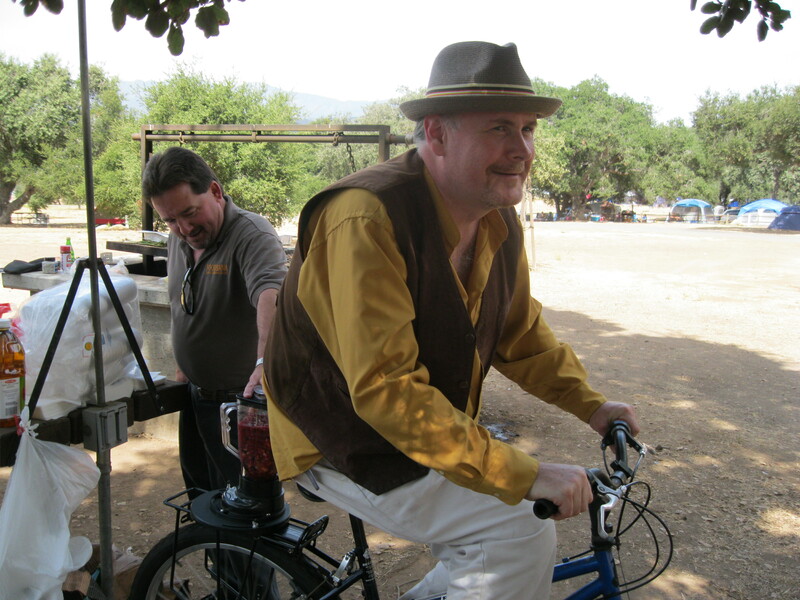 Sustainability, sustainability. Aren’t you sick of hearing that damn phrase assail your ears from all directions. But for a Food Bank that may have reached the high water market of community support and which will soon face potential community belief that the recession is over and the need for food assistance is far less – then sustainability better be a word passing through your lips as opposed to just in your ears. Also if taking a nutrition / empowerment / education focus is the right direction for your organization, then you are going to have to identify some different sources of funding from the straight ‘show me a picture of a hungry kid and I’ll reach into my pocket’ type of support that we have been relying on for so long. Pillar One is Community Support: This is the one we know, we rely on, and we have probably stretched somewhere near capacity. Pillar Two is Earned Income: Most food banks get some kind of earned income, either from agency shared maintenance fees or from resale of product to agencies. Some food banks charge agencies nothing for food, and I used to think that was a noble aspiration for our food bank to aim for, but now I believe that it just fosters inefficiency and poor use of food by member agencies. If something has no financial value to you, then you tend to not make the best use of it. I see our role with agencies as helping them develop their own capacities and strengths, so that they can raise money and make best use of it. Food banks have often been focused on the food and ensuring they can funnel it out fast enough rather than what is the true community impact of the food that they are distributing. But with amounts of food dropping, that shotgun approach may have to become more accurate. 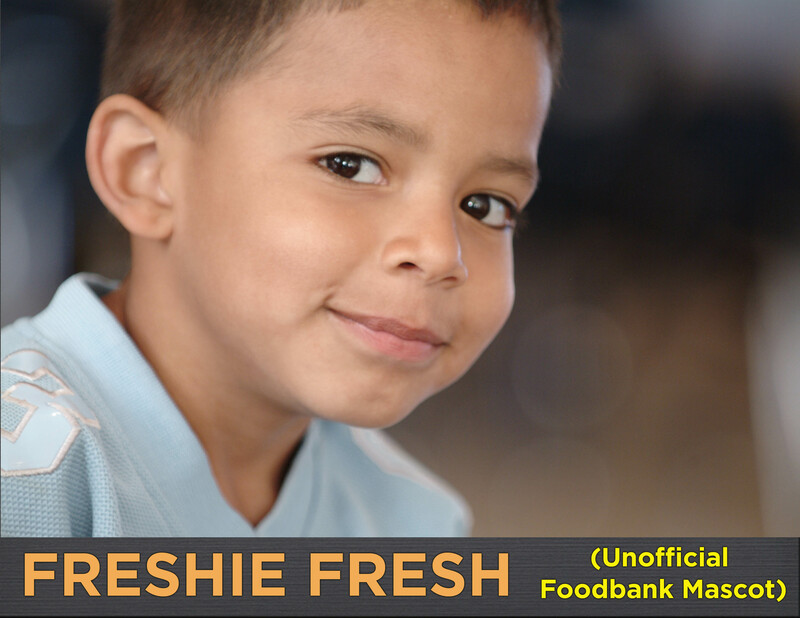 Our unofficial food bank mascot ‘Freshie Fresh’ has given the name to a new source of earned income for our food bank by becoming our ‘private label’ for food that we repack and either sell to member agencies and food banks or utilize in our own programs. Our goal is to source items in bulk, and repackage if necessary and then resell at costs that still beat any other discount or wholesale price, and allow us to make a modest mark up on what we are doing. It’s not easy, but it allows us to provide a greater range of products to make us more of a one-stop shop. Plus agencies would rather the funds they pay go toward a program benefiting their community rather than into the deep pockets of large commercial distributors. This can be even more the case if we plow some of these funds back into direct agency grants. 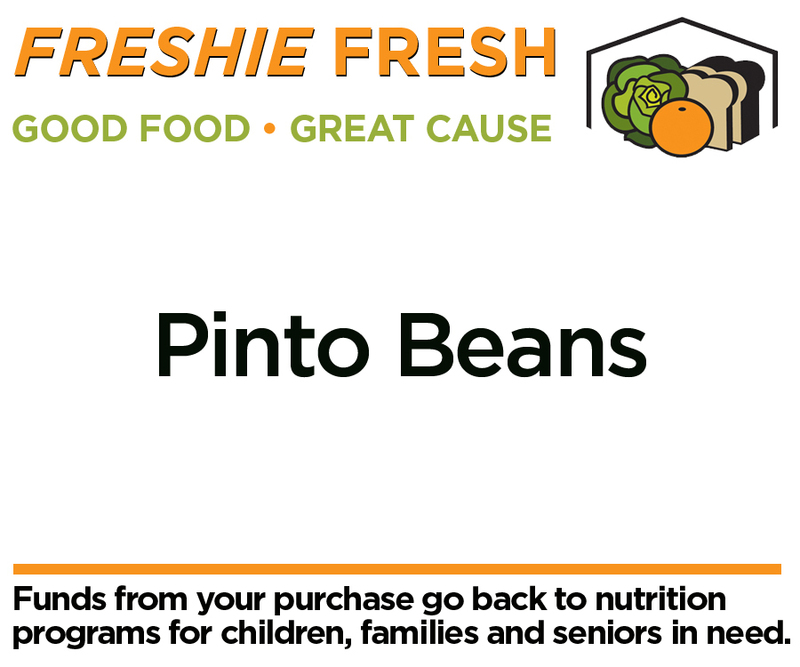 We’re never going to be Costco in our earned income and we don’t want to be, but food banking has always been a quasi-business type of nonprofit in many ways, and this is just trying to draw on our strengths to protect our ability to provide food for those in need. 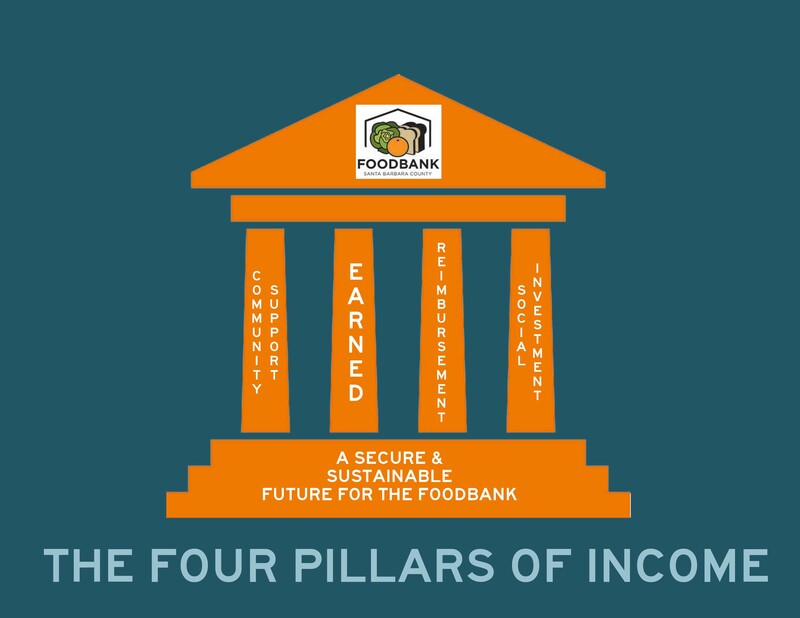 Pillar Three is Reimbursement Income: Our food bank was lazy about involving itself in reimbursement programs in the past, where we could receive state or federal funds for. 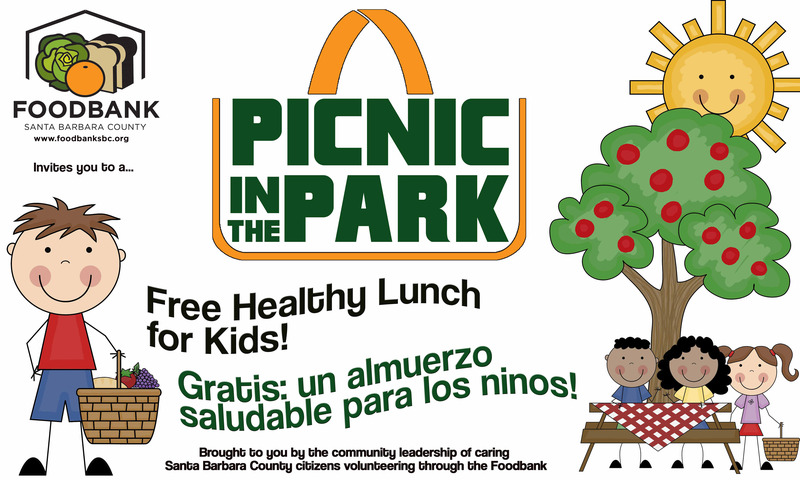 This changed last summer when we launched “Picnic in the Park,” our take on a summer lunch program. Pillar Four is Social Investment: This is the newest form of funding, and it has a lot of potential. Social investor funds which involve local people pooling some business expertise and some dollars to offer both are springing up all over. They are looking for demonstrable and leveraged social impact to occur as a result of their investment. ROI (Return On Investment) becomes a vital factor, and it has always been something that food banks have fought a little shy on. We can brag about our outputs in terms of pounds or meals, but not about the lasting impact of those pounds or meals. That’s another factor drawing our food bank toward the preventative healthcare field. If we can prove amazing impact, then we will be in a stronger place to demand amazing investment on the back of it. Watch this space for more developments in this area. If you can identify what are the strongest pillars of sustainable income for you (as well as which ones could be big if you nurture them) and get everyone in the organization thinking about them (because resource acquisition is not the job of the development department, it is the job of everyone) then you might just lick this sustainability thing.